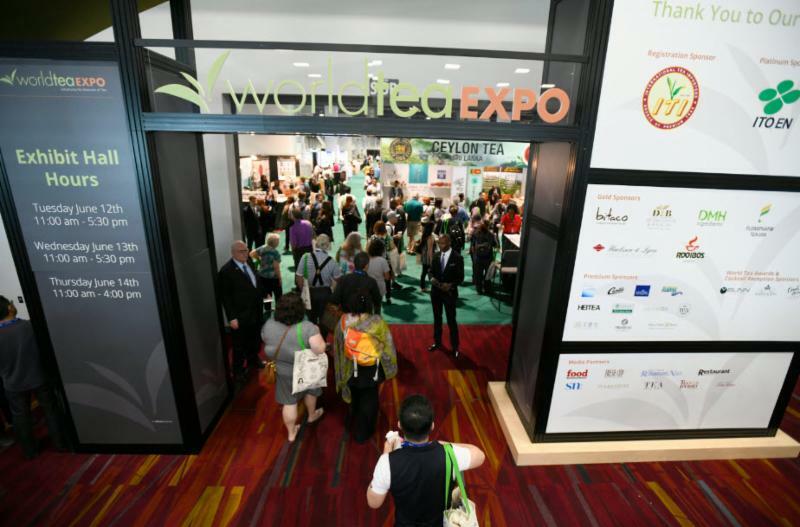 World Tea Expo, the leading tradeshow focused on advancing the business of tea, will take place June 11-13, 2019, in Las Vegas at the Las Vegas Convention Center (with a pre-conference program on June 10, 2019). 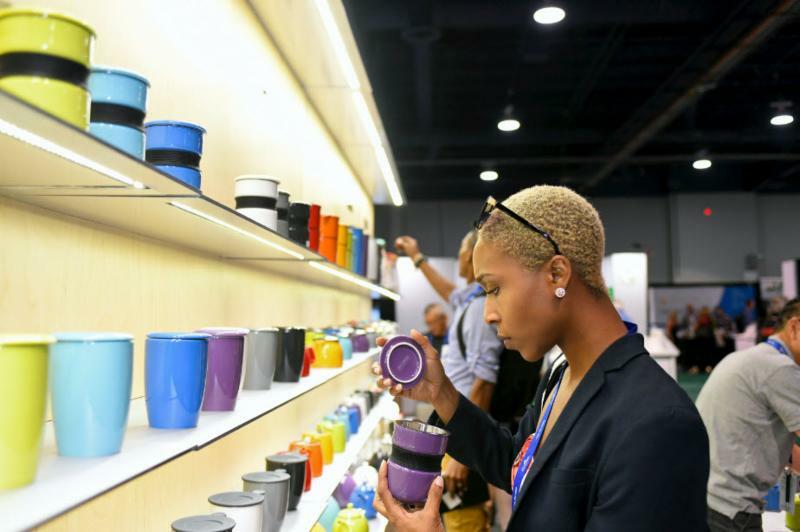 The most recent World Tea Expo, held June 12-14 in Las Vegas (with pre-conference sessions June 10-11), attracted more than 3,500 attendees and more than 260 exhibitors from around the world. The 2018 event featured in-depth tea education, tastings and new products, and awarded some of the best tea leaders, companies and goods. World Tea Expo 2018 presenter Rona Tison, executive vice president of corporate relations for ITO EN (North America) INC --- one of the exhibitors and sponsors of the recent event --- commented, "World Tea Expo was once again a great success for us with an impressive gathering of industry professionals, educational forums and exhibitors with innovative tea trends. It is by far the best B2B trade show to network and establish business relations to expand and broaden the ever expanding world of tea. With tea expected to exponentially grow in the coming years, it will continue to be the go-to for all things tea." Bhavin Shah, head of finance and strategy at International Tea Importers, a World Tea Expo 2018 exhibitor and sponsor, noted, "World Tea Expo continues to be the only pure trade show designed specifically for the tea trade. At this year's show, ITI had many positive discussions with current and prospective customers and suppliers, as well as with industry professionals, regarding the advancement of the U.S. tea trade. Given the rapid growth of the tea industry in the United States, it's critical to have an annual gathering for professionals, and we look forward to World Tea Expo continuing to expand and enhance the show to facilitate a platform through which exhibitors and attendees can network." Brian Keating, founder of the Seattle-based tea think-tank Sage Group and a World Tea Expo Advisory Board member, said, "World Tea Expo 2018 showcased new tea producing origins --- Colombia and Thailand --- and splendid innovation within tea brewing accessories. A record number of new educational session speakers covered topics from integrating tea into diverse food service establishments to processing freshly harvested tea plants. Overall, World Tea Expo remains the most dynamic place for the global tea trade to meet, network, sell and promote effectively, and we're already looking forward to the 2019 event." World Tea Expo 2018 attendee and presenter Babette Donaldson, founder of the International Tea Sippers Society and author of The Everything Healthy Tea Book and The Emma Lea Books, said, "I felt like I was watching the future of the tea industry at the 2018 World Tea Expo. This year, in addition to the 3,500 attendees, the event had an amazing group of more than 100 students who attended the Tea Business Bootcamp, a World Tea Expo pre-conference program. The group was incredibly diverse and the questions about tea were lively and insightful. These attendees were creative and dedicated business people who were serious about taking the tea industry forward; they're the kind of attendees that make up our wonderful tea community. I can't wait until World Tea Expo 2019, and for what happens next in tea." 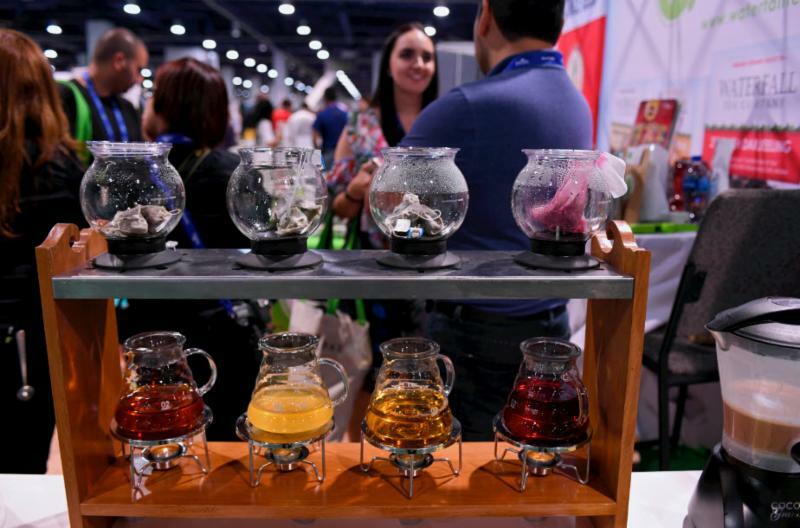 Samantha Hammer, the World Tea Expo event director and World Tea brand leader, said, "Thank you to the hundreds of attendees, exhibitors and sponsors who participated in World Tea Expo 2018. We look forward to seeing everyone at the event next June, as we continue to explore and build the global business of tea." ---John Harney Lifetime Achievement Award: Nigel Melican, managing director, Teacraft Ltd.
World Tea Expo 2018 sponsors included: International Tea Importers, ITO EN, QTrade Teas & Herbs, Bitaco Unique Colombian Tea, Dethlefsen & Balk, DMH Ingredients, FloraPharm, Haelssen & Lyon, Roobios Limited, Cirqua, Curtis, Finum, Flavor Waves, Hei Tea, Martin Bauer Group, Millenia Tea, Tea's Etc., The Tea Spot, TQY Trading Company, Tumblewood Tea, Walters Bay, BUNN, Harney & Sons and Owl's Brew. Watch for information at WorldTeaExpo.com. And be sure to follow World Tea Expo on Twitter: @worldteamedia. Those interested in exhibiting or sponsoring World Tea Expo 2019 may contact the event organizers at info@WorldTeaExpo.com.